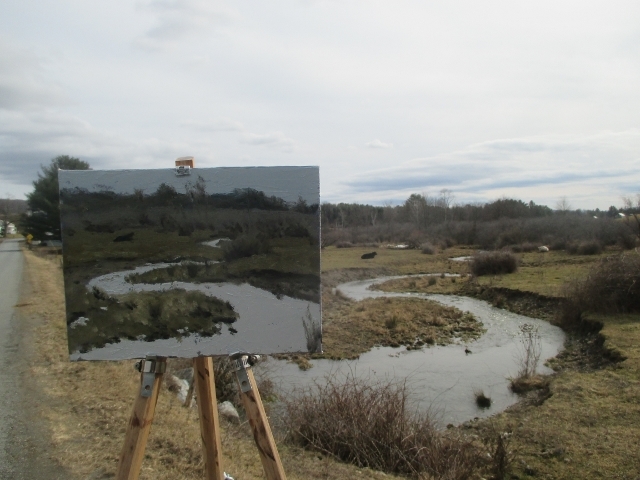 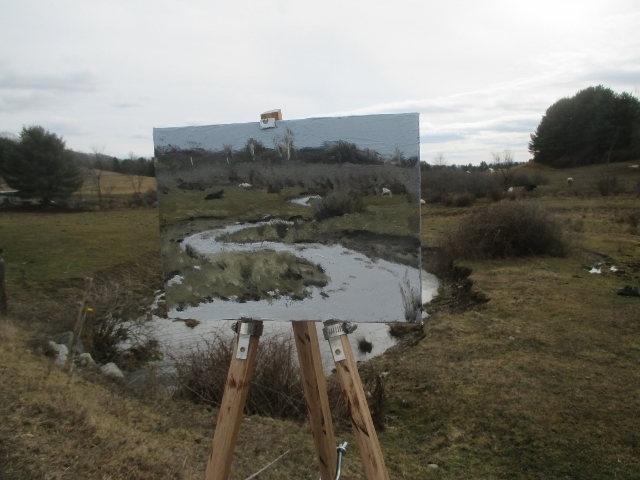 Matt Chinian Painting Blog: Pencil Creek @ Duel Hollow Rd. 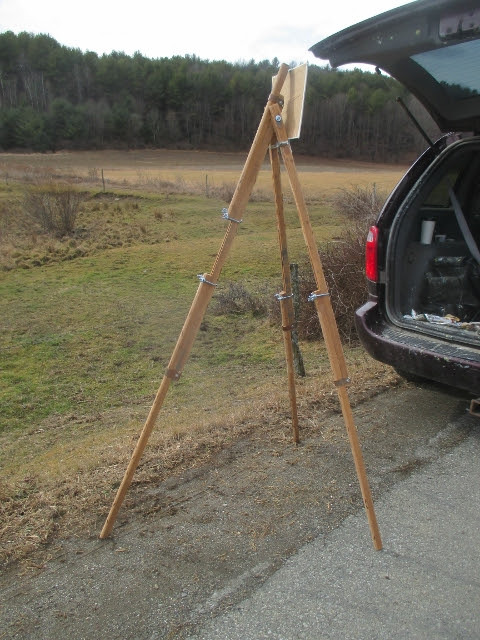 MY NEW EASEL !!! 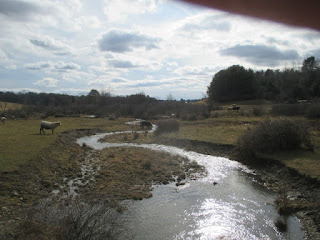 I went out not knowing what I wanted and came here, to a favorite spot, and it was perfect. There was more contrast when I started. #707 Pencil Creek @ Duel Hollow Rd. Here is my new field easel. 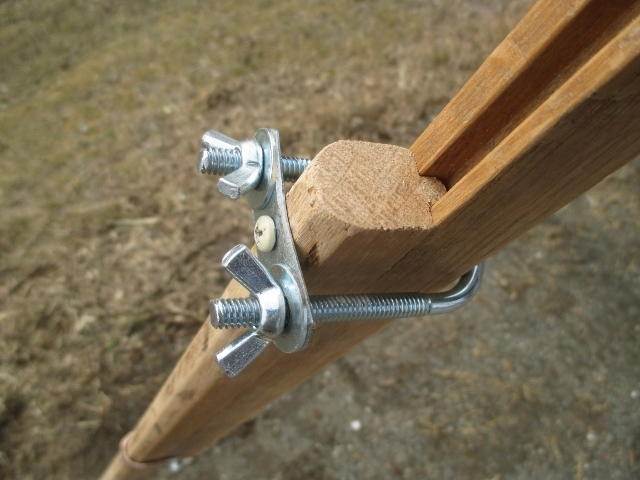 I used tongue and groove oak flooring for the legs, then captured them with pipe clamps. 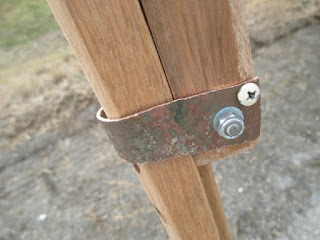 I used a piece of copper pipe to make the sliding leg captures. it took some sanding and wax to get them to move freely. 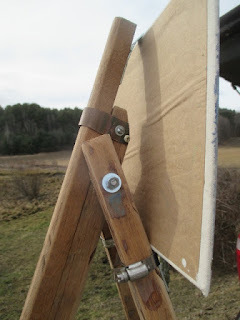 The top holder has the same design as the legs, I had wanted to be able to get the panel higher than my old easel, and to have the panel held straight up, I'll have to experiment with setting it up better, but it worked well today even with a few gusts of wind.